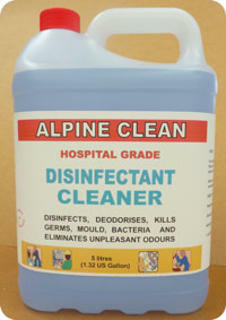 Alpine Clean Disinfectant Cleaner - cleans and disinfects at the same time . Kills all bacteria and viruses at concentration above 1:50. Contains eco-friendly surfactants and eucalyptus oil for a fresh smelling highly effective clean plus quat disinfectants to kill all germs. Use it to clean bathrooms, toilets, kitchens and any surfaces requiring disinfecting. Designed for cleaning, disinfecting and deodorising of hard surfaces; vinyl, floors, walls & toilets etc leaving a pleasant fragrance. Pour some down the hand basin and shower drain to stop blockages from hair build up. 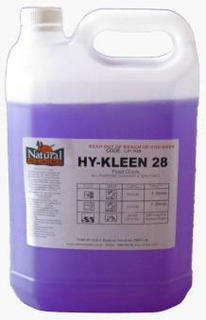 Hy-Kleen 28 is a solvent sanitiser with no caustic contents. Any food placed on a surface cleaned with Hy-Kleen 28 will not be contaminated if placed on the surface immediately after cleaning. All food surfaces must be thoroughly rinsed with potable water before Use. End of shift: wipe down all surfaces with Hy-Kleen 28. End of shift: after washing wipe down with Hy-Kleen 28. Wipe down as required during shift and after service. Leave on surface 2min before wiping off. 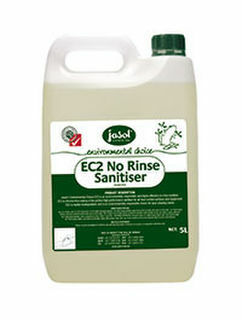 Sanitiser for non food areas. 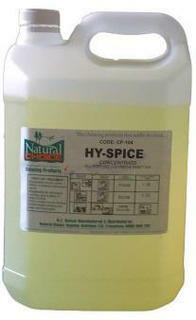 Hy-Spice is a solvent sanitiser with a pleasant fragrance that contains no caustic ingredients and is for use in all areas except food prep. Cleans and sanitises all soils and grease. 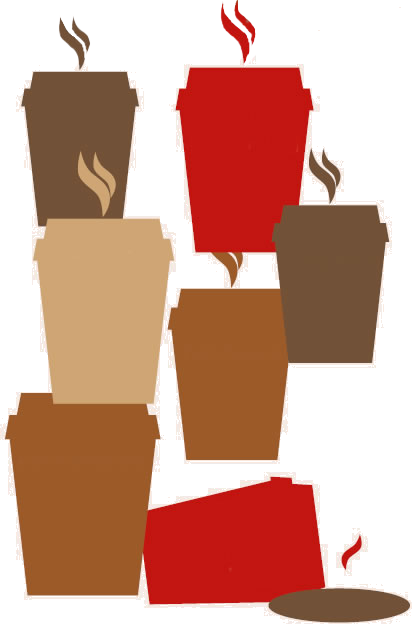 For a clean no-slip result use a two bucket system. Spray in shower/ bath tub leave for 5mintues then wipe off and rinse. 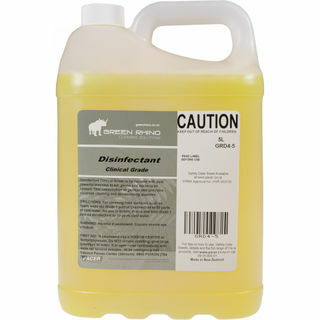 Disinfectant Clinical Grade is formulated with two powerful germicides providing very fast knockdown of gram positive and gram negative bacteria. It is also very active against many fungi. The phrase 'gram' is a term used by microbiologist to classify bacteria into two groups (gram-positive or gram-negative). This positive/negative reference is based on the bacterium's chemical and physical cell wall properties. 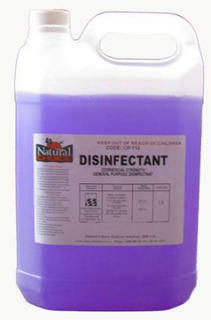 For cleaning floors, walls and general building maintenance, dilute 1 part Disinfectant Cleaner to 50 parts of water. 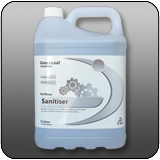 Dilute 1 part Disinfectant Cleaner to 10 parts of water for use in toilets, sinks, drains and bins. Harmful if swallowed. May cause eye irritation. 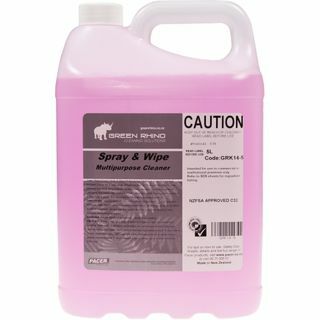 Spray & Wipe Disinfectant Cleaner is formulated with a powerful germicide and pine oil base to kill germs and bacteria on contact. A refreshing fragrance helps provide excellent cleaning and deodorizing qualities. DIRECTIONS: Diluted ratio 1:4 to clean tables, food preparation surfaces, walls and for general building maintenance. Ideal for wiping down dining tables in busy restaurants.